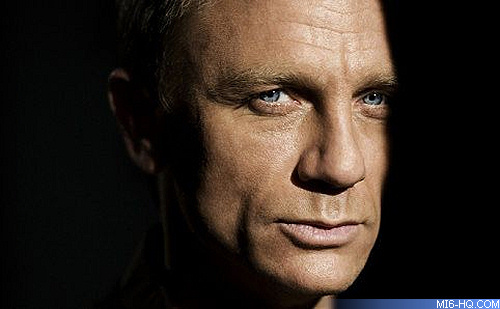 Daniel Craig will play James Bond in at least five films in the EON Productions series, MI6 can confirm. 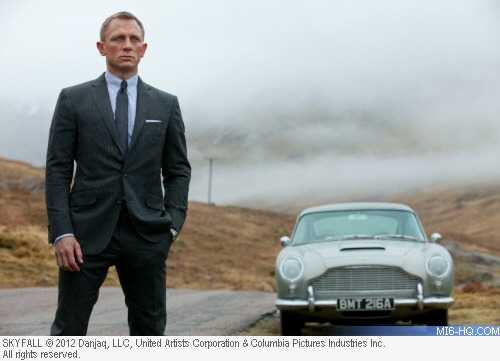 He has already completed shooting on his third outing, "Skyfall", which will open nationwide in the UK on October 26th. His remaining contracted fourth and fifth films will be the 24th and 25th movies in the official series respectively. Sony Pictures, who through a new co-financing deal with MGM, are also set to continue their relationship that started with "Casino Royale" in to Bond 24. Studio executives have been alluding to a return to the two-year cycle to produce the 007 adventures, which would peg Bond 24 as a late 2014 release. This schedule may be too aggressive for the artistic process at EON Productions, who have savoured the longer than usual break between films to craft the script for "Skyfall" and have other non-007 related projects in the works, too. Craig himself is keen to have a breather before kicking off another Bond outing, telling press recently that he is not taking any other film work on until after all the "Skyfall" promotional work is over in the New Year. Behind the scenes, EON recently started inking screenwriting contracts for Craig's next two Bond movies. Producer Michael G. Wilson also said publicly that he hopes Craig will go on to be the longest serving actor in the role. A total of five outings would make him the third longest serving James Bond actor in terms of films produced, but Craig has already clocked up six years in the role over three movies, longer than the time it took Sean Connery to make five. Although Craig's contract has two more films yet to run, Bond actors have been released early from their commitments. Both Connery and Timothy Dalton left the role a film early for completely different reasons. Sean Connery originally signed up to play 007 in six films starting with "Dr No' (1962), but was released from his contract one film early following "You Only Live Twice" (1967). George Lazenby was then cast as the first replacement, completing "On Her Majesty's Secret Service" (1969) before walking away from a contract for more. Connery was lured back to the role for "Diamonds Are Forever" (1971) and a record fee of £1.25 million which he donated to charity. Roger Moore then took the helm with "Live And Let Die" (1973), the third successive film in the series that had a change in the lead role. Moore steadied the ship and went on to complete a record total of seven outings, culminating in "A View To A Kill" (1985). His contract was originally for four films, but Moore and Broccoli negotiated on a per-film basis thereafter. Timothy Dalton, who had been previously considered for the role, was cast for three films, starting with "The Living Daylights" (1987). After "Licence To Kill" (1989), a six year hiatus followed due to studio legal disputes, leaving Dalton walked away from a possible third film. Pierce Brosnan - who had narrowly missed out on the role in 1987 due to an NBC contract renewal - debuted as 007 in "GoldenEye" (1995). His tenure was set for three films with an option for a fourth, which he completed with "Die Another Day" in 2002. Brosnan was not recalled, and after a four year break, Daniel Craig made his debut in "Casino Royale" (2006).